In America, the compact sedan was often looked as the alternative to its larger sized cousins. That notion is mostly gone, however, and the value of a smaller and more fuel efficient breed of cars come to market. Car shoppers expect a lot of compact sedans now, from capable storage to leg room in the rear, as well as nimble handling. Few cars embody the compact sedan’s sense of fun like the Volkswagen Jetta. The Volkswagen Jetta has long been a best-selling car, and for good reason; the 2017 version offers a few upgrades over its 2016 predecessor, but the winning formula remains in place. Compared to other smaller sedans, such as the Honda Civic, how does the 2017 Jetta stack up? Here aspects of comparison to consider when looking at small sedans. The 2017 Volkswagen Jetta retains the classic stance and structure of its past, while offering some refreshing adjustments and improvements. Slight adjustments to the grill, sides, roof-line and general profile have helped the Jetta retain its signature good looks while finding ways to look even better. The 2017 Civic, on the other hand, is an evolution on the 2016 Civic, which was a complete redesign of the Civic platform. The Civic’s new styling has its appeal, but many car reviewers preferred the Jetta’s sculpted looks to the Civic’s exterior molding. It’s 2017 and cars are expected to do a lot more than just drive from point A to point B. With that in mind, Volkswagen has once again packed their Jetta with a number of features that will entertain and inform their drivers. The 2017 Jetta comes with a full infotainment suite that provides satellite entertainment, premium audio from rock legends Fender, apple or android play, a free full service app, a bright touch-screen, an intuitive trip computing system and steering wheel controls to keep you engaged with all of it while keeping your hands on the wheel. In terms of safety, the Jetta offers a standard backup camera and available rear and blind spot monitoring, as well as park pilot assist, front impact avoidance assistance and adaptive cruise control. Make no mistake about it, the 2017 Civic is similarly well featured, but the Jetta’s safety and entertainment features have won praise for their simplicity to use and comprehensive abilities. Style and entertainment are fun, of course, but the real test is how well a car drives. When it comes to small sedans, few vehicles can match the dynamic performance of the Autobahn inspired Volkswagen. The Jetta comes with four corner independent sport tuned suspension that grips the road while smoothing over the bumps. With a best-in-class DSG dual semi-automatic transmission, you can assume complete control, or let the car do all the work. The Jetta offers three engine choices, from a 1.4L turbo to a 1.8L turbo and a sport-inspired 2.0L TSI turbo in the Jetta GLI that produces a G-force inducing 210hp and 207lbs torque. This compelling lineup far exceeds the Civic’s choices of either a naturally aspirated turbo charged engine. 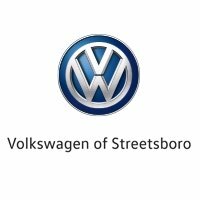 While car buying is a uniquely personal experience, your local Volkswagen dealership would love to help you make the best decision possible. Feel free to stop by your local dealership today to find out just how well the 2017 Jetta fits you. Contact your local Volkswagen dealer to set up a test drive today. * Starting MSRP of $17,895 for a 2017 Volkswagen Jetta S 1.4L TSI® with 6-speed manual transmission. Prices exclude transportation, taxes, title, other options and dealer charges. Dealer sets actual price.